As an employer you are not legally obliged to set up any kind of pension scheme for your employees (an occupational pension) but you do need to offer your employees access to other forms of pension such as a stakeholder scheme. More information about pensions and employers is available on the Pension Service website: www.thepensionservice.gov.uk/employer. However, increasingly employees who apply for vacancies within small businesses are demanding access to an employer pension scheme. A company pension scheme is now seen as part of the general benefits package that is expected when someone joins a new business. You can read general advice about pension schemes on the HMRC website: www.hmrc.gov.uk/pensionschemes. As a small business owner you will find substantial tax benefits can be gained if you set-up a pension scheme for your employees. These schemes require that the employee and employer pay money into the scheme as long as the employee remains with the business. Some employers go further and offer an occupational money-purchase pension to their employees. This type of pension is linked to how well the fund that has built up performs. If the fund does well, each employee gets a higher pension. But conversely, if the fund has poor performance the employee's pension will reduce. This type of pension is linked to the final salary level of the employee. The money paid into the fund is invested to provide a pension when the employee retires. The number of years worked is also taken into consideration. These types of pension have come under close scrutiny, as some investment funds were not able to payout to all of the investors. New rules and regulations have come into force to govern how employers manage final salary pensions. You can read more detailed information on the Pension Regulator's website: www.thepensionsregulator.gov.uk. If you have five or more employees and are not going to offer them an occupational pension scheme that you will register with the HMRC, you must offer your employees as stakeholder pension. The HMRC has further information on registering pension schemes on their website: www.hmrc.gov.uk/pensionschemes/pensionschemes-online.htm. There are a number of pensions that are open to your employees. It's important to choose the right type of pension, or group of pensions so that the pension not only benefits your employees but is also able to deliver tax advantages to your business. You can locate a pension adviser on the Society of Pension Consultants website: www.spc.uk.com. Most pensions will attract some form of administrative charges. Look closely at these as they can be quite high and could make the pension scheme uneconomical. Many of the employee pension schemes require the employer to pay into the scheme. Look at your business's financial situation to ensure it can afford to make the pension contributions without endangering its financial stability. Before you decide on a pension for your business it's important to ask your employees what they expect from the scheme they will asked to pay into. Pensions vary a great deal, so take your time to locate a pension that offers your employees as many of their requirements as possible. 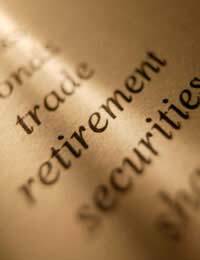 Pension funds are invested in a wide-range of markets to grow the net worth of the pension fund. However, you have control over which markets the fund is invested in. You may have a requirement for instance to only invest in ethical markets. A third party will most likely administer the pension scheme you choose. Make sure you can easily monitor the pension funds progress and net worth at any one time. Today your employees will expect you to provide some form of pension provision as part of the terms and conditions of their employment. It's important to take advice as early as you can about the type of pension your business can provide. The Pension Advisory Service (www.pensionsadvisoryservice.org.uk) is a great place to start, but using the knowledge of a financial adviser with specialist pension knowledge will enable you to tailor a pension to your business's exact needs.